The roulette wheel for the Classics Club spin-along finished with the ball landing on number 10.Which means I will be reading The Power and the Glory by Grahame Greene. Phew! I said yesterday that I was hoping to avoid Robinson Crusoe so I’m pleased I avoided that – I will read it at some point but I’m not in the mood for it right now. The Power and the Glory will actually be a re-read but it’s some thirty years now since I read it and I can’t remember much about it beyond the fact it was about a moral crisis suffered by a priest who is trying to avoid capture by the Mexican authorities. Grahame Greene was one of the authors on the final year syllabus at university, a time when all our energies were going into revision for finals and had little time for scrutinising texts in much detail. I’ve always felt since that I didn’t do justice to Mr Greene. Fortunately Simon of Savidge Reads gave me the impetus to put that right with the ’Greene for Gran’ readalong he organised this summer as a tribute to his book-loving gran. 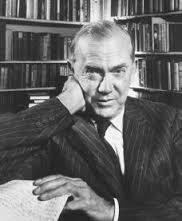 I ended up re-reading The Heart of the Matter, one of his ‘Catholic novels’ which proved a superb experience. Sounds good doesn’t it?? Some leading figures in the Catholic church didn’t think so – the Cardinal of Westminster summoned Greene to a meeting so that he could read him a letter from the Holy Church condemning the novel and insisting he re-write it. Greene refused. The rules of the spin-along give me until January 1, 2014 to read this which means I have a wonderful end-of -the-year reading treat in store. There are some books where the author’s message and their view of the world has to be teased out as you read. Sometimes you can get to the end and still not be sure you’ve understood what the author is trying to convince you about or persuade you to believe. Then there are others where the message is so evident it virtually hits you on the forehead every few pages. 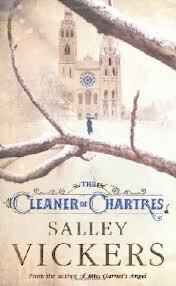 It’s to the latter category that Salley Vickers‘ novel The Cleaner of Chartres belongs. Not that this book can be described as hard-hitting even if I did develop multiple bruises while reading it. It neither deals with ‘difficult’ subject matter nor features characters whose dialogue is replete with profanities or obscenities. This is a book which I would describe as ‘cosy’. The kind I might read if I was prostrate on my bed recovering from the ‘flu and lacking in sufficient energy to wrestle with anything requiring more than half my brain power. I know I’ve made it sound like this novel is dire. It’s ok, nothing more, nothing less. The novel features a mysterious woman called Agnès Morel. When the novel opens she is working as a cleaner inthe magificent cathedral of Chartres. Who she is and where she came from, no-one really knows. Taciturn by nature but with a natural intelligence she builds a new life while never revealing the secret of her past and a dreadful deed that marred her younger years. Agnes is a vulnerable woman not only because she has a dark secret but because she finds it difficult to refuse people who ask her to take on new work often at very low wages. The worst culprit is Madame Beck, a gossipy spiteful widow who employs Agnes as a cleaner only to unjustly accuse her of stealing one of her beloved china dolls. The aftermath threatens to breach the wall of secrecy that Agnes has built around herself. According to the Guardian, Vicker’s novel “explores the darker side of human nature with the lightest touch.” Light in touch for sure, but the dark side of nature is really more like a light shade of grey. There isn’t enough about the disturbing nature of Agnes’s earlier life to counter-act the feelgood element that comes from the heavy emphasis on the positive effect that this woman has on the people around her. Agnes is a touchstone against which other inhabitants of this town begin to measure their own attitudes and behaviours. Under her influence they start to change so by the end they all regard this woman with affection. Innate goodness and true friendship will conquer all seems to be Vickers’s message. I kept waiting for the trajectory of the novel to change unexpectedly. But although there is a point at which everything threatens to come falling down on top of Agnes, the effect is transitory. Since I didn’t particularly take to this character or find her believable, I didn’t particularly care what happened to her. This is a book that will have its fans. I am just not one of them.